Honda Civic has gotten off to a strong start in its second run in the Indian market. The D segment sedan has garnered more than 2,400 bookings since February 15. Almost 85 per cent of these are for the petrol version. Further, 80 per cent of the bookings are for the top trims. Prices for the tenth-generation Honda Civic start at Rs 17.69 lakh for the petrol and Rs 20.49 lakh for the diesel. The new Civic is available in three petrol and two diesel variants. 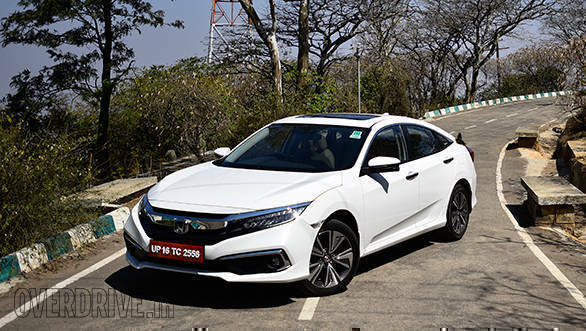 We get the facelifted version of this car, Honda India having skipped the ninth-gen model. The petrol motor is an updated version of the 1.8 litre i-VTEC mill that we saw in the eighth-gen car discontinued in 2011. This engine is BSVI compliant now and makes 141PS and 174Nm torque (versus 132PS and 171Nm from earlier). This engine is paired exclusively with a CVT with paddle-shifters. The diesel motor is the new 1.6 litre i-DTEC diesel that first debuted in the current CR-V. This unit makes 120PS and 300Nm. This only gets a six-speed manual but the highlight here is the 26.5kmpl fuel efficiency figure. The petrol returns 16.5kmpl. 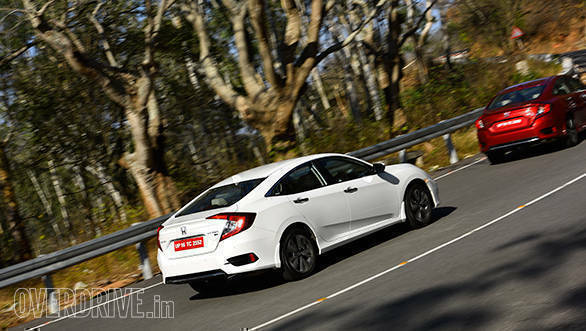 Speaking of this, Rajesh Goel, senior vice-president and director for sales and marketing at Honda Cars India, said, "The response to the Civic has been phenomenal. The bookings that we have for the first month are more than three months' sales of the segment."